23rdEuropean Nephrology Conference is the world’s leading conference for Nephrology professionals to gather and contribute their research for developing the new techniques in the field of Nephrology. Nephrology Conferences offers over 30 sessions from different areas in the field of Nephrology in the form of Keynote, Plenary and workshop sessions including oral and poster presentations. 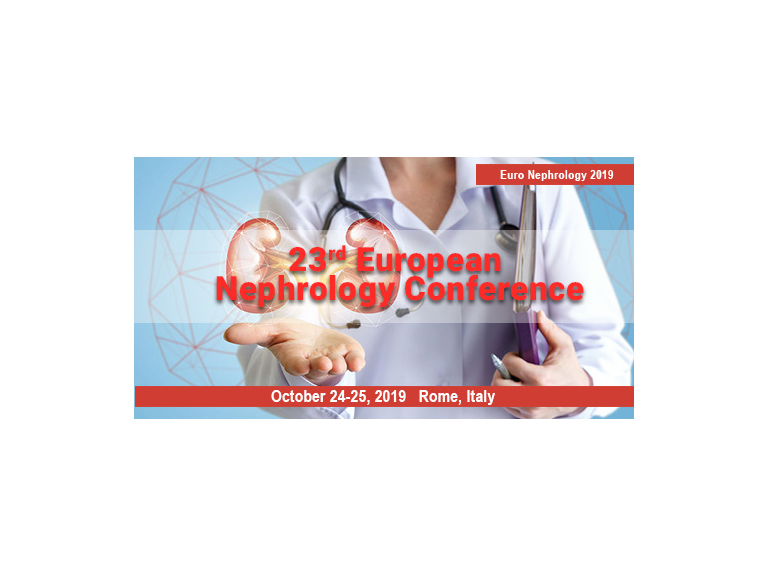 Nephrology Conferences which is going to be held in global & ancient city Rome, Italy during October 24-25, 2019, which moves around the theme: “The Imminent of Nephrology: Current & Advance Approaches to treat Kidney Diseases”. And Euro Nephrology 2019 conference will address fast mounting technology rapidly changing the nephrology with significant opportunities for kidney diseases.